Best Dog Fence Installation in Pittsburgh! Service ​Awards in the past 7 Years! Safe & Effective Dog Containment at an Affordable Price! 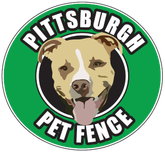 Pittsburgh Pet Fence is Pittsburgh's BEST electronic dog fence company for 10 Years and running. While offering top notch customer service (as proven by the 11 Angie's List Super Service Awards won for both installation and training over the past 7 years), we also feature the finest dog fence products available on the market. Being locally owned and not associated with any national franchise, Pittsburgh Pet Fence can save you a lot of money with the use of our RECHARGEABLE COLLARS and NO EXPENSIVE BATTERY PLANS to deal with in the future. 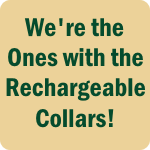 Pittsburgh Pet Fence is the only Dog Fence Company in Pittsburgh to feature the convenience and cost savings of RECHARGEABLE COLLARS! ​If you would like to give your dog the freedom to run safely and securely without the fear of running away, contact us today! We can be reached by Phone or Text (412-206-9210) or email. We are available 7 days a week. ​​Pittsburgh Pet Fence can make life easier for you, and keep your pet safe and happy at home. ​2012, 2013, 2014, 2015 , 2016, 2017 & 2018! Viewing on mobile? Just touch the number above.